In May 2012, Poteet passed a $23.4 million bond election with a 75 percent passing rate. Included in this bond was the plan to expand the elementary building. 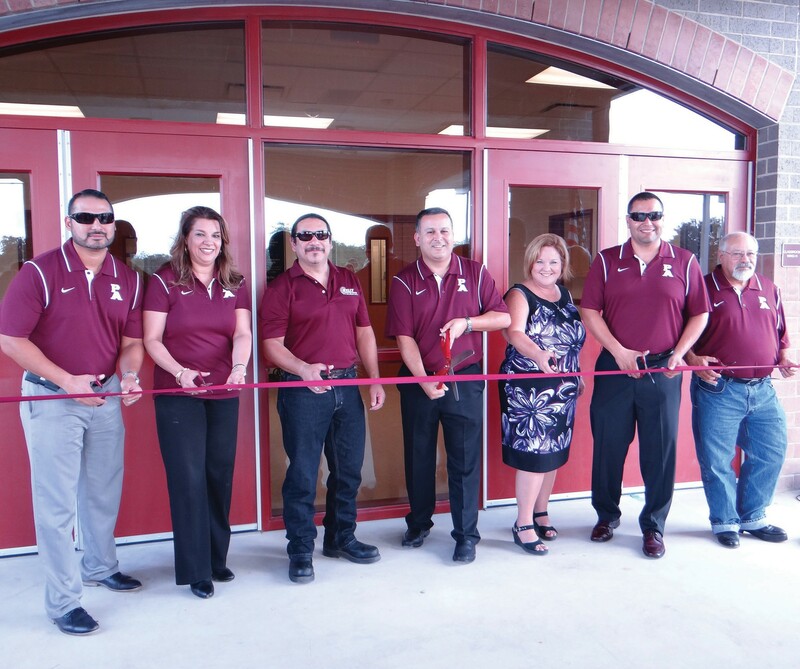 On August 18, a ribbon cutting was held for Poteet Elementary. “The expansion had a lot to do with the fact that we are growing. We wanted all the kids out of portable buildings and into safe buildings,” said Superintendent Andy Castillo. “ We wanted a secure entrance with the nurse readily accessible to the parents. One of the biggest things the elementary needed was an area where the kids could be picked up and dropped off that was off the street,” Castillo added. On hand for the ceremony are, left to right, Steven Estrada, Barbara Reyes, Henry S. Ortiz (board members), Superintendent Andres Castillo, Principal Laura Mikolajczyk, David Herrera, Jr. and Louis Vasquez (board members). .